As skin care professi­onals, we spend a lot of time protecting the skin from external stressors that can cause damage and aging. We sometimes forget there are factors that can age the skin from the inside out, too, and one of these internal factors is glycation. The term “glycation,” along with the consumer desire to use products containing “anti-glycation ingredients” to prevent premature aging, is growing in skin care. The skin care expert should be aware of this, as well as understand how much more important these types of products can be to someone who has health-challenged skin. The skin of a diabetic client is especially prone to premature or accelerated aging, and treatments and product choices will either help or hinder his or her ability to achieve their skin care desires. Diabetes is a chronic health condition where the body is unable to produce enough insulin to properly break down sugar (glucose) in the blood. 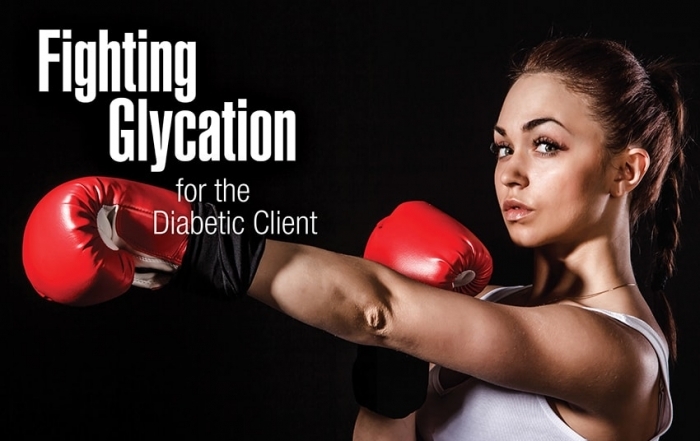 You may think you don’t have any diabetic clients, but some may be unaware of their condition. It is estimated that 1.7 million people are diagnosed with diabetes every year, with an additional 8.1 million as yet undiagnosed. Just imagine the number of diabetics coming in for treatments who unknowingly have skin aging issues due to this health challenge…. Access Full PDF Article Here.